This has to be the worst stock photo ever used by an airline to sell a useless product by a very poor airline. The value proposition? Pay us more money to sit at the front of the plane where we will serve you poor food (that 5 years ago we would have served in economy class), get into our business lounge described in various Skytrax testimonials as: “poor food and beverage assortment, only some cold cuts and 2-3 kind of cheeses, some olives, vegetables, nuts and chocolates”, “Lounge is operated by the airport. It’s pretty basic” and “nothing special” and no extra mileage for the extra money you have paid. 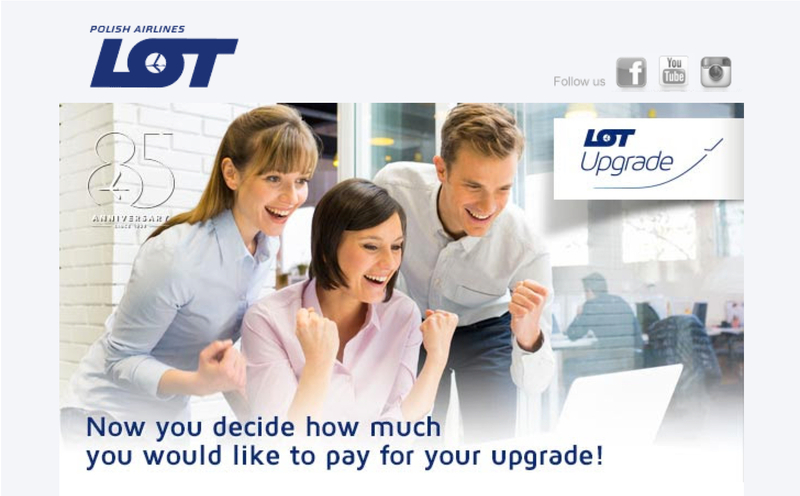 I can only assume that the genuinely happy faces of the three people in the photo is because they have received the news that LOT declined their offer to pay for rubbish AKA LOT Business Class. Pathetic. Truly Pathetic.